I have been working in the Restaurant business since I was 15 years old starting at a Pizza/Pasta Restaurant in Long Beach. At 18, I started working as a Broiler man for the Navy Commissioned Officers Club in Long Beach. 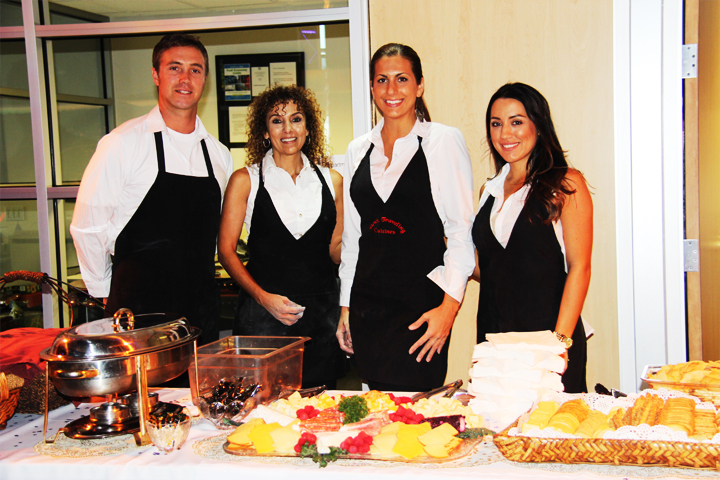 We served Naval Officers and their Guests. We would serve 2-3 Banquets per night on the weekends plus doing "menu service" at the same time. I moved back to the S.F. Bay Area after that and worked as a Chef for the Rusty Pelican chain in Walnut Creek at the old W.C. Railroad Station/Mastersons. Their specialty was fresh Seafood. I did all the ordering, prepping fresh fish, cooking on the line, etc. In 1999, after owning One Hour Cleaners (Dry Cleaners) in Pleasant Hill, I decided I wanted to get back into the Restaurant business, so I designed and helped build Paradise City Cafe in Pleasant Hill. We served freshly baked Pastries, Breakfast + Lunch, and we also had an Espresso Bar. We had a very busy weekend breakfast crowd. In 2001 I started up a Personal Chef business – Dave’s Traveling Cuisine and from there it merged into Dave’s Cuisine / Catering in 2004 .